High school and teen are common themes in Korean dramas. 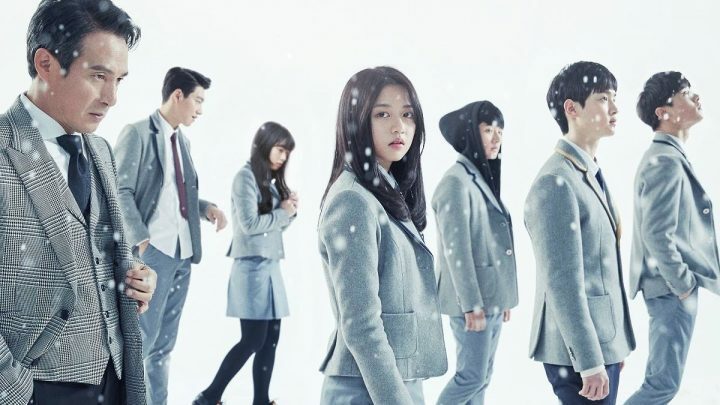 Whether the they focus on the school system itself, or the students who attend, these Kdramas showcase what it’s like to be a part of this ecosystem and highlight the sociological issues of this community. All of this make for great stories, relatable characters, and close knit dynamics that the viewers can’t help but love. So, we’ve selected a list of the best school teenage themed Kdramas for you to binge on this summer. Goong is based on the same name Korean manhwa that takes place in an alternate Korea, where the monarchy still rules. An ordinary high school girl finds herself betrothed at birth to the Crown Prince, and eventually ends up falling in love with this seemingly aloof aristocrat. The drama is able to enliven the spirits of modern day royal families through every little detail. From the politics, to the romance, to the family drama, the whole setup is believable and enjoyable. Master of Study‘s premise is about a tough lawyer who gets put in charge of teaching at a high school. Despite the fact that many of his students are problematic troublemakers with little interest in studying, he challenges himself and the class to get accepted into a prestigious university. The drama’s focus on how the teacher views his students is a refreshing outlook, and the bonds that they create are sweet. Many of the characters show their own motivations and growth, making for a unique bunch. Dream High follows a group of music students at an art school where they attempt to achieve their dreams as singers. The protagonist is a headstrong girl who is very determined to get ahead. However, along the way, she learns to be less self-centric and realizes that the friendships she built may be more important than success. Get ready to embark on this heartfelt journey with the heroine in finding herself and understanding the true meaning of music. Although only four episodes, Adolescence Medley packs in the plot and thoughtfulness of a full length drama. It follows a lead character who’s attended many different schools thanks to his parents’ constant moves and has learned to not invest in relationships or care about anyone at school. But to his surprise, his parents decide to stay this time, leaving him to face the problems and the people of his new school. This drama is very sweet, with a lot of humorous moments and down to earth characters. The School Series has a reputation of turning its budding young character into famous actors for good reasons. They are generally thought-provoking stories that take place in high school and highlight a different but important topic about school life. In School 2013, we’re treated to a more tenable plot that tackles ordinary problems students may face, everything from the pressures of studying, student teacher relations, and rivalry between estranged best friends, making for an engaging slice of life drama. Who Are You: School 2015 takes a slightly different approach, adding suspense and elements of thrill throughout the story. The plot focuses on an upright orphan who takes the place of her twin sister at school, after her sister’s sudden disappearance. In doing so, she befriends her sister’s best friend, uncovers her sister’s hidden secrets, and experience what it’s like to be a popular girl at school instead of constantly being bullied. The story is a fantastic mix of mystery and drama that’ll keep you captivated until the very end. This drama is about a group of girls at a high school that form a group to investigate mysterious happenings at their school. Many of the mysteries they solve involve different serious topics that students in Korea face: bullying, suicide, etc. The drama is unique because it’s quirky in its own way. The group of girls are all very distinct from each other, forming an interesting and diverse team that viewers can root for. This is a drama brimming with youth, angst, and suspense. Solomon’s Perjury begins with a serious of interconnected deaths at an elite high school that have all the students rattled. Frustrated with the situation, the students decide to hold their own school mock trial for this case, with each student playing a different role such as the prosecutor and the defense attorney. It’s a drama that sends a strong message highlighting one of the major faults in the educational sector — lobbying — along with other issues like school bullying and child abuse.